Thanks to its lightweight constructions, rear-drive layout and brilliant suspension, the 2019 Subaru BRZ is a driving enthusiast's dream come true. With 205 horsepower, a slick 6-speed manual and a playful attitude, the BRZ may not be the fastest car in its class, but it's certainly one of the most fun you can own for under $30,000. 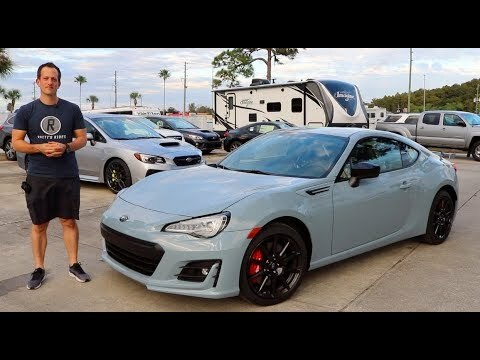 Why is the 2019 Subaru BRZ Series Gray the BEST one YET?